With a record 28,000 young people participating in 2018, Mission Australia aims to reach well in excess of 30,000 participants in celebration of the important milestone. “Our Youth Survey has come of age and turns 18 this year, so we want this to be a milestone to remember,” Toomey says. “We are proud of our Youth Survey, as every year it provides a temperature check of the thoughts, concerns and aspirations of young Australians and a range of invaluable insights. 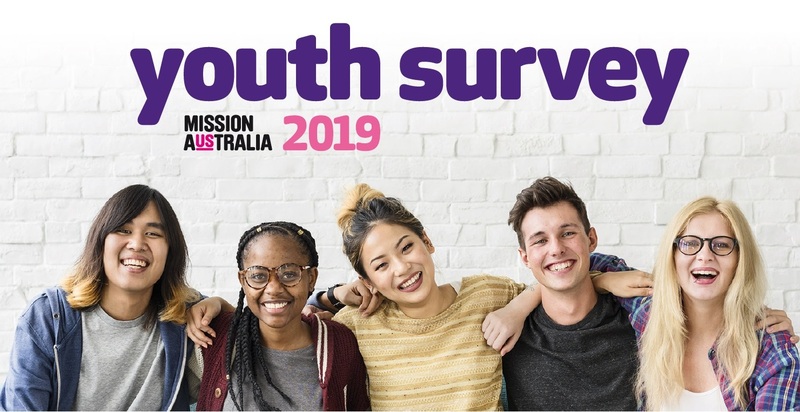 “Thanks to the Youth Survey, a vast range of organisations like Mission Australia have up-to-date evidence on what young people are thinking and experiencing, enabling us to advocate with them and for them for the services and policy changes that they need. Toomey says for Youth Survey’s 18th birthday, the charity is encouraging even more young people to share their voice either online, at school or through a local community group. “We also hope to see even more high schools, sporting teams, community youth groups, church groups and community service organisations urge young people to get involved this year. “The voices of young people must be heard and elevated. “The more young people we have participate, the more comprehensive and wide-ranging the results will be,” said Mr Toomey. In 2018, four in ten (43 per cent) young people identified mental health as the top issue facing Australia – up from 33 per cent in 2017 and doubling since 2016. The top three personal concerns were coping with stress (43 per cent), school or study problems (34 per cent) and mental health (31 per cent). The survey closes on July 31, 2019, with results to be released in late November.